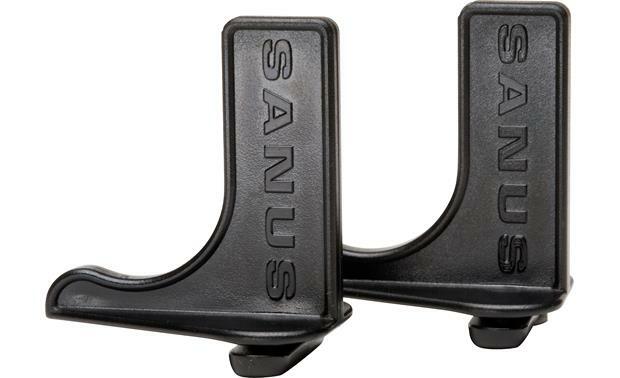 These sturdy and durable stops are made for use with the Sanus CASH21, CASH22, and CASH23 component shelves. Great product! Very snug and prevents your equipment from moving back. Overview: These black plastic shelf stops are designed for use in the Sanus vented rack shelves. They keep your equipment from shifting within the A/V rack. The shelf stops have a tab on the bottom that can be inserted into a vent on the rack shelf, then twisted to hold it securely into place. This package includes 10 shelf stops. Searches related to the Sanus CASS10 Component rack shelf stops (10 pack).